Multiple bird strikes on final. During touch and go's landed in a field. Ran off the end of the runway. 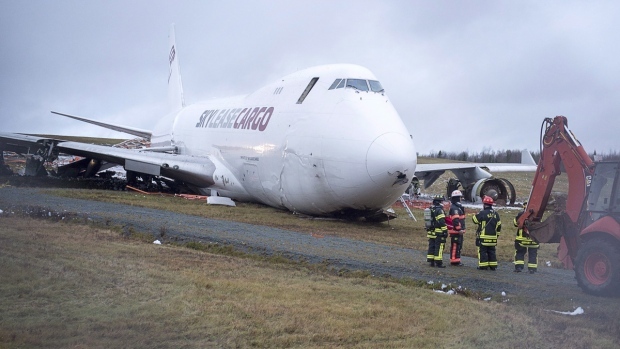 It said SkyLease 747-400 aircraft had the capacity to carry up to 120 tonnes of Nova Scotia seafood to China. On November 3, 2018, about 0940 Alaska daylight time, a Cessna 172 airplane, N2809L, sustained substantial damage during an emergency landing on runway 25 at Merrill Field (PAMR), Anchorage, Alaska. The airplane was registered to and operated by the pilot as a 14 Code of Federal Regulations Part 91 visual flight when the accident occurred. The private pilot was uninjured. Visual meteorological conditions prevailed and no flight plan had been filed for the local area flight. The flight departed PAMR about 0935. According to the pilot, on a previous flight, about 0900 the same day, when around 400 ft above ground level (AGL) during climbout, the engine began losing power and ran extremely rough. While in the traffic pattern, the engine was only able to produce about 1200 rpm. The pilot stated that he was able to return for an uneventful landing on runway 25. Following the event, the pilot sumped both fuel tanks and gascolator and found no contaminants. He then completed a run-up with no anomalies noted and taxied for departure with the carburetor heat on. Upon reaching the run-up area, the pilot completed another run-up. With no anomalies occurring on either run-up, the pilot elected to depart for a flight around the traffic pattern. Just after departure from runway 25, and around 300 ft AGL, the engine again began losing power and ran extremely rough. An emergency was declared and the pilot was able to return for landing. During landing, the left wing impacted the runway, resulting in substantial damage. A detailed examination is pending. The airplane was equipped with a Continental Motors O-300 series engine. On October 2, 2018 about 1330 central daylight time (CDT), a Hughes 369D, N5187S/N454AR, was destroyed when it impacted a utility pole and, subsequently, terrain in McDougal, Arkansas. The helicopter departed from a grass landing zone with two linemen attached for short haul operations in connection with utility line work. The commercial pilot was fatally injured and the two lineman sustained minor injuries. Visual meteorological conditions prevailed for the external load operation that was conducted under the provisions of 14 Code of Federal Regulations Part 133, and no flight plan had been filed. 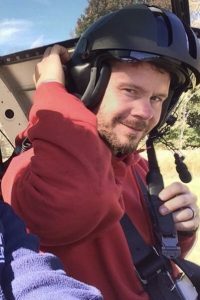 The world is a much sadder place today because Erik John Raisanen, 45, formerly of Brainerd, Minnesota, and 18-year resident of Newport News and Hampton, Virginia, died unexpectedly of injuries sustained in a helicopter crash while at work in Arkansas on November 2, 2018. He is survived by his wife of 14 years, Frances Bright; his 12 year old son Jake Raisanen; daughter Kiera Raisanen; stepsons David Doss (Kelly), Andrew Doss (Shanena Smith), Kevin Doss (Shelby Smith) and Ben Doss; as well as his parents, Don and Sandy Raisanen, of Punta Gorda, Florida; his brother Davin Raisanen (Christa), sister Elin Le Claire (Jarod), and granddaughter Ivy Doss, as well as a host of other family members and many close friends, especially Matthew Miles and Elijah Kramer, both of Brainerd, Minnesota. All will miss him more than words can say, and his absence will be felt for many years to come. Erik was born on October 21, 1973, in Saint Paul and was educated in Brainerd, Minnesota, earning Associate’s degrees in Business Administration and Small Engine Repair. He worked as a carpenter for many years but really came to life when he earned his helicopter pilot license in 2010. In flying helicopters, he found his real calling. Erik was a man who saw the potential in life. He always embraced new experiences, learning new things, and lived life to the fullest- skydiving, motorcycle riding, scuba diving, camping, hunting, fishing, martial arts and all kinds of weaponry, reading, making beer, playing drums, and cooking. Everything he did was done with passion and a fully committed thoroughness that is rare. When he worked, he worked hard and strove for excellence, and when he spent time with his family and close friends, he did so with equal dedication. He saw the humor in situations and in people, and lightened the hearts of those around him. He could always make you laugh. In all he did, he earned the respect and admiration of those who knew him. Erik was bold and never let the risk of failure prevent him from trying something new. He really enjoyed new adventures, new experiences, and children. He was a much beloved Boy Scout Leader of Troop 84 in Hampton, and his attention and guidance will be sorely missed by the young lives he touched. He dedicated a lot of his time to his children, and shared in their discovery and exploration of the world, offering guidance and sharing the adventure of life with them. It was not uncommon for him to sword fight and wrestle with his kids and their friends from the neighborhood all afternoon. As teens, he spent hours talking to them and taking them to watch movies and play video games. He stood as an example of what it means to be a good man, how to make sacrifices for others, and how to be strong in the face of adversity. He didn’t tell others what they should do or be; he illustrated how to work to build a better life and a happy family, and how to get back up when something knocks you down. He always chose to be happy. Erik was fearless, and in his presence, he brought out courage in others. He encouraged them to be their best by his intrepid example and by his generous support. His actions were guided by a deep faith in God. He treated others fairly and accepted them exactly as they were. Erik was a man who really listened – he gave advice only if asked, and it was always carefully considered and wise. The light of his spirit helped others’ lights to grow brighter. He illuminated so many lives. His desire, above all, was to ensure the happiness of those that he loved. Erik was a man who truly loved his life, his wife, all his children, his family, and his job with unbridled passion. Because his capacity to love was so immense, the loss of it is equally immense. His loss has literally torn a hole in our hearts. He will be dearly missed by all. Grief is the price we will pay for loving him so much. A memorial service for Erik John Raisanen will be held on Friday, November 16, 2018, at 1:00 pm at Altmeyer Funeral Chapel, 12893 Jefferson Avenue, Newport News, VA, 23608. CLAY COUNTY, AR (KAIT) - A Virginia man died Friday when his helicopter crashed in Clay County. 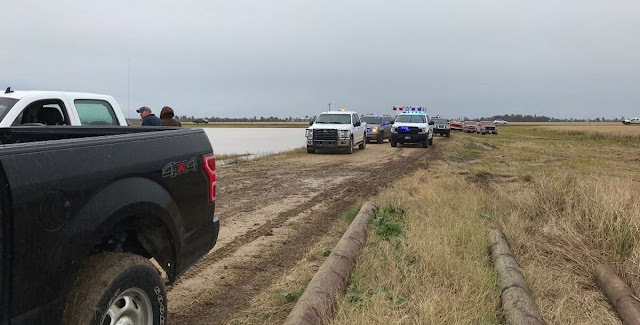 Clay County Sheriff Terry Miller tells Region 8 News the pilot was Erik John Raisanen of Hampton, Virginia. He was flying a helicopter belong to Air2, which was contracted by Entergy Arkansas. His helicopter crashed just before 1:30 p.m. Friday off Highway 62 near County Road 245, just west of McDougal. Arkansas State Police, local fire crews, EMTs, and the Clay County Office of Emergency Services were also on the scene. Struck and damaged several approach lights. 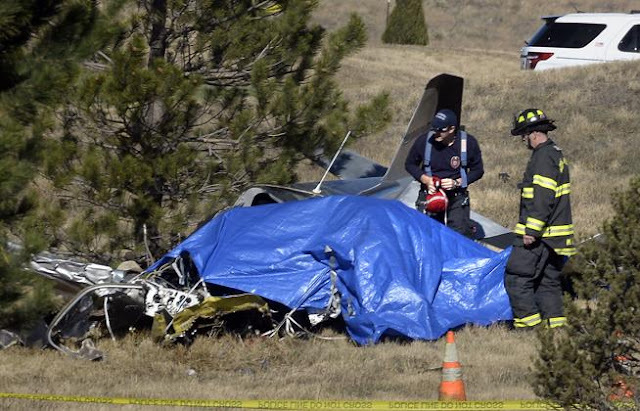 On November 2, 2018, about 1153 mountain daylight time, an amateur-built MUSTANG II airplane, N287BM, impacted terrain while on final approach to the Erie Municipal Airport (EIK), near Broomfield, Colorado. 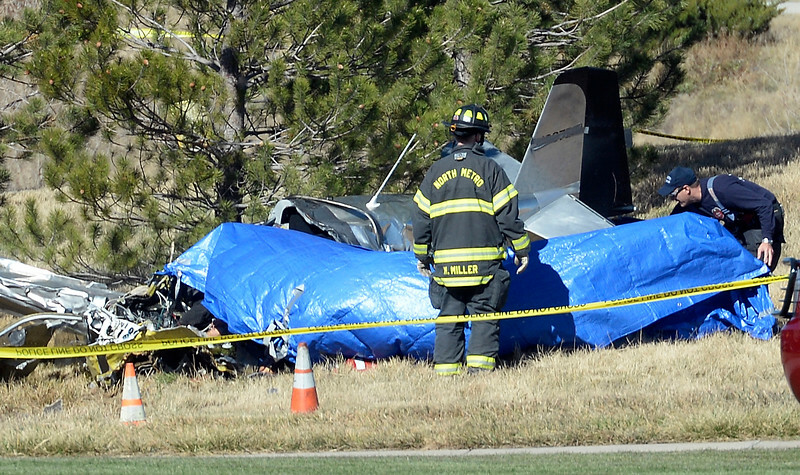 The private pilot and passenger were fatally injured. The airplane sustained substantial damage. The personal flight was conducted under the provisions of Title 14 Code of Federal Regulations Part 91. Visual meteorological conditions prevailed and no Federal Aviation Administration (FAA) flight plan had been filed for the flight. The airplane departed EIK at an unknown time for a local flight. Multiple witnesses in the area to the south of EIK reported seeing the accident airplane just before the accident. These witnesses reported that the airplane was traveling from west to east at a low altitude. 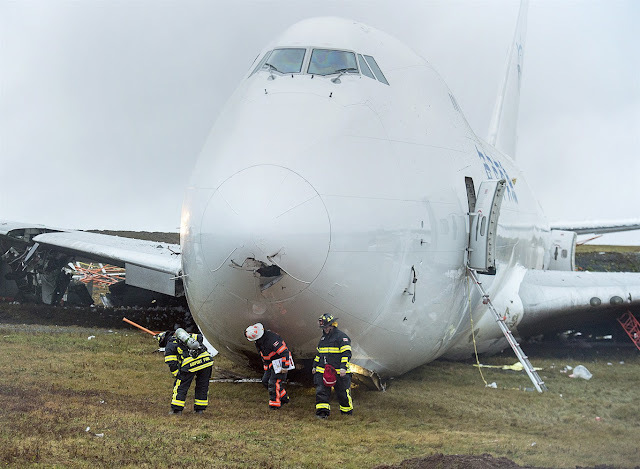 The airplane banked "hard" or "steep" to the north and the nose of the airplane came down or "dropped". One witness stated that the bank angle was near 90°. 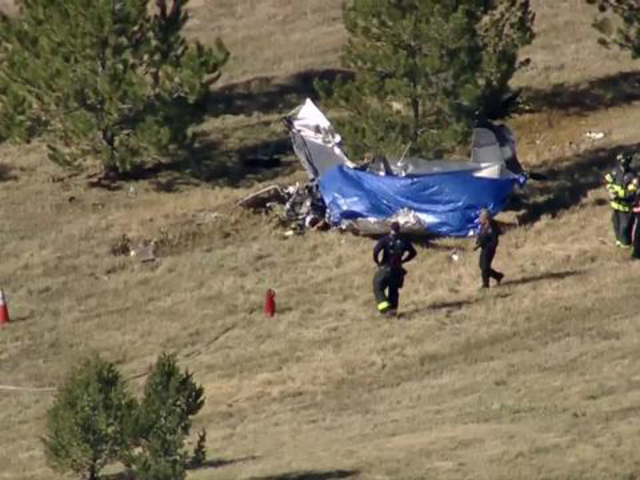 The airplane impacted a grassy area and trees in a park near Anthem Ranch about 0.4 miles south of the approach end of runway 33 at EIK. 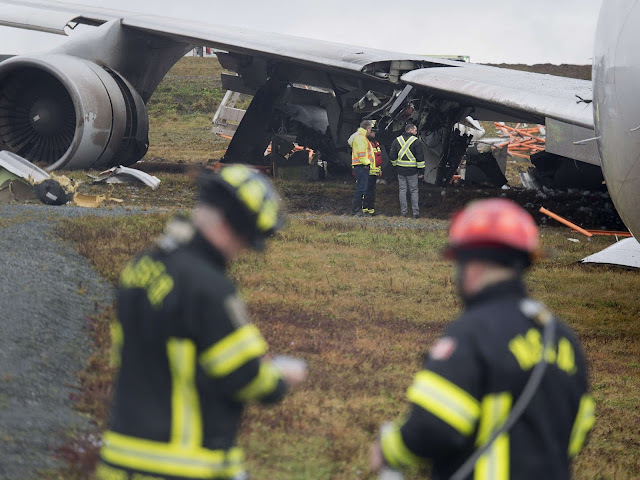 The main wreckage included the right wing, left wing, instrument panel, fuselage, and empennage. 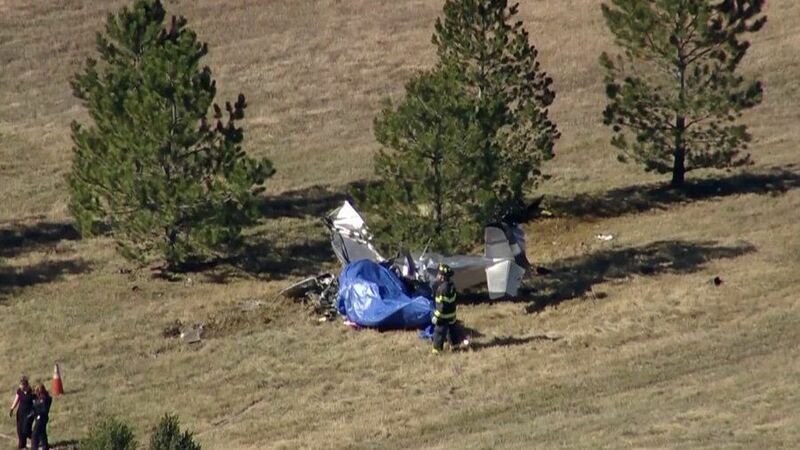 The engine separated from the airplane and came to rest 18 ft to the north of the main wreckage. The left main landing gear tire separated and came to rest 50 yards north of the main wreckage. A weather observation at EIK, taken at 1154 recorded wind from 300° at 7 knots. The observation taken at 1212 recorded wind from 310° at 10 knots, gusting to 15 knots. A weather observation taken at Boulder Municipal Airport (BDU), Boulder, Colorado, (located 8 miles west of the accident site), at 1130 recorded wind at 290° at 24 knots, gusting to 34 knots. A weather observation taken at Rocky Mountain Metropolitan Airport (BJC), Denver, Colorado, (located 7 miles southwest of the accident site), at 1150 recorded wind at 270° at 26 knots, gusting to 35 knots. 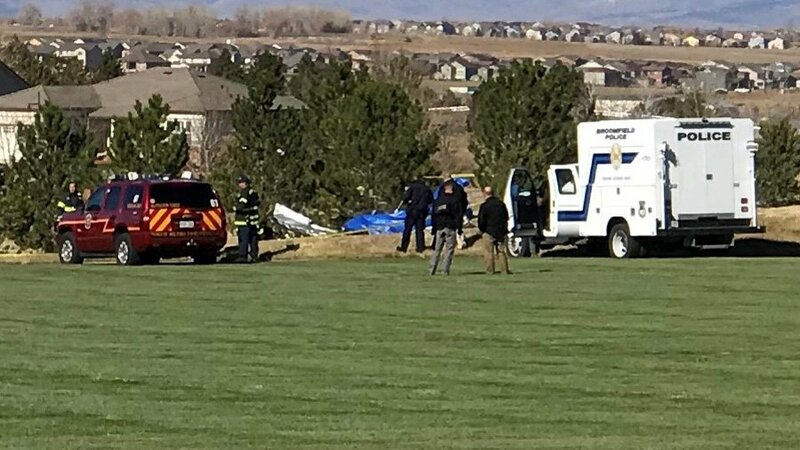 BROOMFIELD, Colo. — The pilot who was flying a small plane that crashed in a field in Broomfield Friday afternoon had an invalid private pilot license, according to the Federal Aviation Administration. John Durward Campbell, 58, of Erie, was flying the plane when it crashed. According to Federal Aviation Administration documents, his pilot license had been suspended since 2012, though it's unclear why. Both Campbell and a passenger, 20-year-old Tobias Campbell of Erie, died in the crash. The Bushby Mustang II was built from a kit. It is unclear why it crashed. The Adams County Coroner's Office has identified the two men who died last week in a plane crash in Anthem Ranch as John Campbell, 58, and Tobias Campbell, 20, both of Erie. Cause and manner of death are still under investigation, according to the coroner's office. The plane , a small Mustang II home-built aircraft, reportedly crashed just before noon Friday in a greenbelt area near Anthem Ranch Road and Aspen Lodge Drive. Preliminary investigation indicates the craft was being piloted for a landing at Erie Municipal Airport. Neighbors called the area an easement to the Erie airport. Senior Air Safety Investigator Jennifer Rodi, with the National Transportation Safety Board, said the crash occurred about 11:50 a.m.
"We do not have a flight plan for this airplane at this time so we don't know where the plane departed from or what time the airplane departed," Rodi said Friday. The plane was not communicating with air traffic control, nor was it required to, she said. She declined to speculate as to the probable cause of the crash. Rodi said investigators will be looking into "man, machine and environment," including the pilot's health, experience and any toxicology findings. They also will examine the craft's frame and engine for mechanical anomalies and review radar data associated with the aircraft to understand how fast it was flying at the time of the crash and the course of flight. Officials with the Federal Aviation Administration and Adams County Coroner's Office will participate in the investigation. They also will look at weather. Strong winds were present Friday, but Rodi said it was too early to tell if weather played a role in the crash. Investigators were on scene Friday to examine the wreckage and talk to witnesses who reported the plane was flying west to east and initiating a turn north toward the Erie Municipal Airport. Witnesses said the plane was both "fast in its speed" and was flying low, or lower, than what they normally expect for the area when planes are heading to Erie. A preliminary report should be available on the National Transportation Safety Board website at ntsb.gov by Thursday or Friday, Rodi said, but a more-detailed report could take between 10 to 18 months. On October 30, 2018, about 1104 Hawaiian-Aleutian standard time, a Bell 430 helicopter, N430ST, sustained substantial damage after it experienced severe vibrations while climbing out from Ellison Onizuka Kona International Airport Keahole (KOA), Kailua/Kona, Hawaii. The commercial pilot and the 3 passengers were not injured. The helicopter was registered to K & S Helicopters Inc., and operated by Paradise Helicopters, under the provisions of Title 14 Code of Federal Regulations Part 135, as a revenue sightseeing flight. Visual meteorological conditions prevailed, and a company flight plan was filed for the local flight. The flight departed KOA about 1057. According to the pilot, he was planning to fly around the island. The autopilot was engaged and was commanded to climb the helicopter to 1,500 ft mean sea level (msl). The pilot reported that when the helicopter was at an altitude of 1,350 ft msl, a speed of 125 knots, and a heading of about 160°, there was a loud thump, immediately followed by significant vibrations. He further reported that the vibrations were felt more through the airframe than the flight controls. The pilot elected to conduct a precautionary landing back at a ramp in KOA. The landing was uneventful, but the vibrations increased in intensity when the throttles were reduced to idle, while on the ground. A normal engine shutdown was accomplished without further issue and the pilot and passengers safely egressed. Postaccident examination revealed that one of the tail rotor's blade's backplate, along with the associated weights and attachment bolts, had separated. The other tail rotor blade sustained a 6-inch-long dent about mid-span. Aircraft was discovered in a field with unknown damage.